Here’s a quick shout out that on April 18 Endeca colleague Mark Burrell and I will be presenting a tutorial on Designing Effective Search User Experiences at ECIR 2011 in Dublin. For those unfamiliar with ECIR it is the premier European conference on Information Retrieval, possibly second only to SIGIR in academic standing and reputation. This is just one of a whole package of tutorials running that day – register for this one in the morning and you can attend a further one in the afternoon all for a very reasonable fee. Further details appended below. To register, simply go to the ECIR 2011 site. This half-day tutorial provides a practical introduction to Human Centred Design for information search, access and discovery. We present a concise overview of the fundamental principles of search experience design and show how to apply these to a variety of practical problems. A key element of the tutorial is the opportunity to practice these skills in a group exercise. 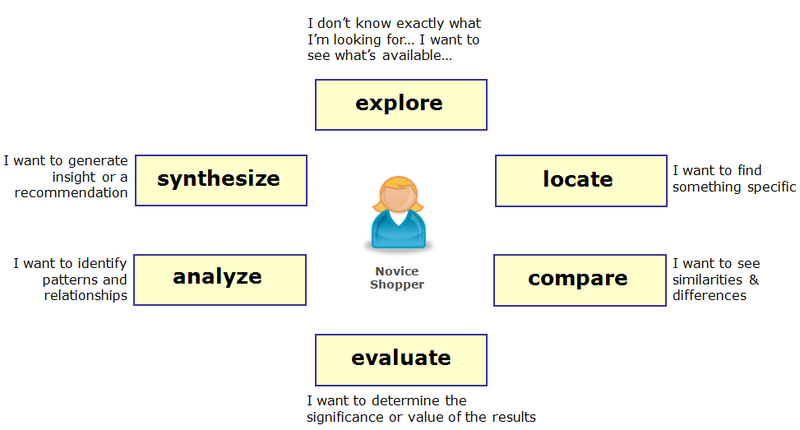 How to differentiate between various types of search behavior: known-item, exploratory, etc. Introductions and objectives: Group introductions & Ice-breaker. A brief summary of what each participant hopes to gain from the session, and what experiences they bring. Understanding Search & Discovery Behavior: An overview of the key theories and models of human-information seeking behavior, focusing on the work of Marcionini, Bates, Ingwersen, and the later works of Hearst, Morville, Tunkelang et al. Faceted Classification & Search: A review of Rangathan’s seminal work on Colon Classification and its roots in Aristotelian teaching, and an exploration the implications for the design of contemporary faceted classification and search paradigms. Design for Discovery: Varied Solutions for Varied Contexts: An exploration of the universal dimensions that define search and discovery contexts, and how these translate into principles for the design of effective search and discovery experiences. The Endeca UI Design Pattern Library: A detailed examination of best practices in search experience design, embodied as design patterns in the Endeca UI Design Pattern Library. Exploration of the role of patterns in user experience design and comparative analysis of pattern libraries in general. Practical Exercise: An opportunity to practice all the above skills in a group exercise. We will complement these with a practical review of best practices in search experience design and apply these to a real-world scenario. Conclusions & Wrap-up: A review of the overall session, including the shared experiences of the group exercises and the contrasting findings of each. A summary of the follow-on resources and take-aways from the course and the wider HCIR (Human-computer information retrieval) community. The fields of human computer interaction and information retrieval have both developed innovative techniques to address the challenge of navigating complex information spaces, but their insights have to date often failed to cross disciplinary borders. This tutorial acknowledges and builds on the momentum of recent collaborations (such as the HCIR conference series) to deliver a concise and practical guide to User Experience Design for information search, access and discovery. This tutorial is aimed at those who have an understanding of the basic principles of user centred design, or alternatively, some experience of having tackled UI design problems for search & information access applications. 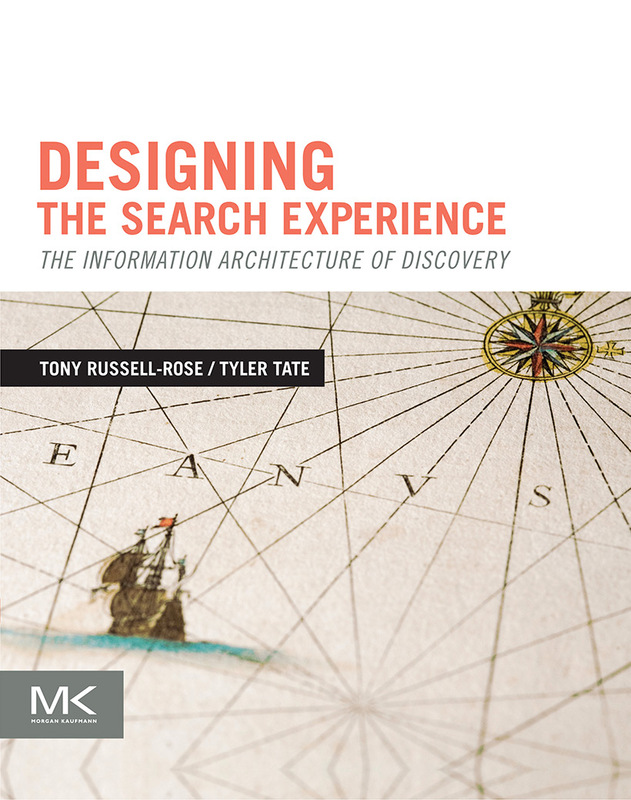 As such it should appeal to user experience professionals, information architects, information retrieval researchers and IR practitioners or anyone interested in the designing more effective user experiences for search and information discovery. Earlier this week we added another four patterns and two topic pages to the growing collection in the Endeca UI Design Pattern Library. In this post, I’ll provide a bit of background to these additions and outline the ways in which we had to extend the conceptual framework of the library itself to accommodate this new material. Where are our top performing agents located? In which states are our sales above average? Where are the most intense areas of traffic congestion within the city? Analytics Applications summarize important metrics and trends and aggregate key quantitative and qualitative information sources, providing visibility and information scent through faceted visualizations (e.g., dynamic charts, graphs, etc. ), metrics tables, refinements and other analytic summaries. But one of the most interesting issues behind these patterns is the changes required to the library itself in order to make this new material navigable and searchable. As you may have noticed, patterns are currently categorised using three primary facets: Industry, Topic, and Usage. It is the latter two I wish to focus on in this post. This set of facets reflected the original scope of the library and in some ways also surfaced our own world-view of the conceptual landscape of information search and discovery. But now, with an increasing focus on analytics and Agile BI, we’ve extended that framework to accommodate the new topics of Spatial Visualization and Faceted Analytics. So applying these modifications, along with the extensions to the Topics, we see the complete set of facets that we see on the UIDPL site today. As mentioned above, no categorisation scheme is ever perfect, and they all to some degree reflect a subjective world view. And no doubt these facets will evolve further as our collective understanding of human information-seeking behaviour develops. Instead, the real measure of their value is the extent to which they facilitate practical goals and tasks. So if you find them meaningful and valuable in using the pattern library, then they have fulfilled their purpose. If you think they could be improved, we’d love to know. 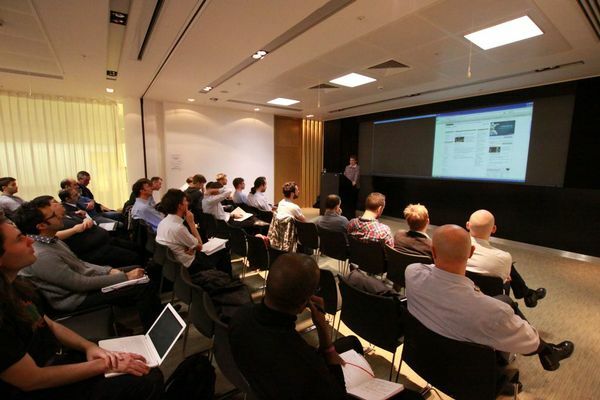 On Monday night I had the privilege of attending the Search at the Guardian event, organised by Tyler Tate of the Enterprise Search London MeetUp group and Martin Belam of the Guardian newspaper. I say “privilege”, as it seems all 60 places were snapped up within a matter of days, so I consider myself fortunate to have grabbed a place. Seems like Search has gone viral this last week … anyway, it was well worth the trip as the Guardian put on a great show, consisting of talks from their technology development team about the challenges in providing a searchable archive of all their content. There’s no doubt that the recent launch of Google Instant has caused considerable debate within the search community. Some describe it as further evidence of Google’s ability to deploy disruptive search technologies and change the nature of how we search, and, along with it, the dynamics of whole industries such as SEO. Others see it as merely an incremental feature that will make very little difference to the way we search and may even even undermine the user experience through distracting page refreshes. Before we answer that, let’s clarify exactly what we mean by Google Instant (GI). The basic idea, in case you weren’t aware, is that instead of presenting a static page of results after each query, the search results are updated in real time after every key press as the user is typing. You could think of it as an extended Auto-suggest function designed to occupy the entire result page (BTW, auto-suggest is one of the patterns recently featured in the Endeca UI Design Pattern Library). In addition, GI also predicts likely keystrokes based on the current input, analogous to the predictive text input that is so common on mobile phones. This is essentially an implementation of a design pattern known as Auto-complete, and is used by GI to indicate the default query represented by result set at any given time. But the major benefit claimed for GI is faster searches: Google estimates that Instant can save 2-5 seconds per search, which, if everyone used it globally, could save as much as 3.5 billion seconds a day. So, given what we now know about Google Instant – will it change the way we search? The answer is, of course, it depends. Even though opinions vary widely on the value of this feature, what they have in common is they are based on a set of implicit assumptions about the context of use, i.e. the circumstances under which the feature will be experienced. So to answer the question in a principled manner, we need first to make those assumptions explicit, and then establish exactly which aspects of the context are relevant and how they affect the search experience. In so doing, we should look beyond web search and consider the broader discovery experience and human information seeking behaviour in all its forms, i.e. encompassing web search, site search, enterprise search, and so on. 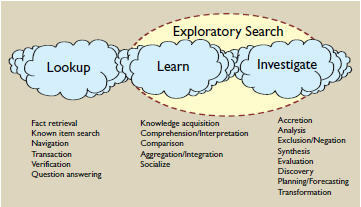 There are four primary dimensions that we commonly use within Endeca to characterize search and discovery contexts. The first dimension is what we call User Type. Now, there are many dimensions of variation along which we could characterise users, but one of the most important is their level of knowledge or expertise. For example, imagine you are designing the search experience for an electronics retail website: are your users likely to be highly knowledgeable tech enthusiasts or uncertain novice shoppers? 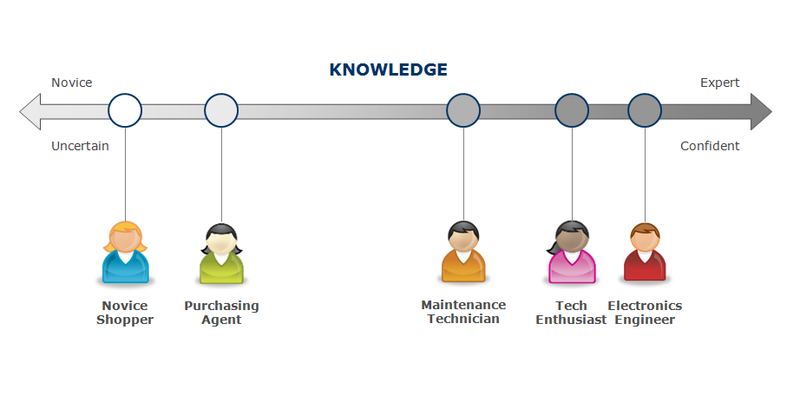 Likewise, if you were designing the search application for an electronic component supplier: are your users likely to be expert electronics engineers, or purchasing agents with limited domain knowledge? In each case, the level of knowledge or expertise affects the level of support they are likely to need or appreciate as well as their ability to quickly interpret and sift through volumes of information. The user with the more limited domain knowledge may be more likely to benefit from interactive support in their query formulation, and hence find a feature such as Instant more valuable. The second dimension of the search experience is the users’ goal and the scenarios within which he/she strives to achieve that goal. These goals and scenarios can vary on a spectrum from highly specific “known item” searches to more complex and indeterminate exploratory learning and evaluative analyses, etc. On the simple side of this spectrum, “known item” searches such as “I want to find the latest Harry Potter book”, the user knows what he/she is looking for and can articulate it appropriately. 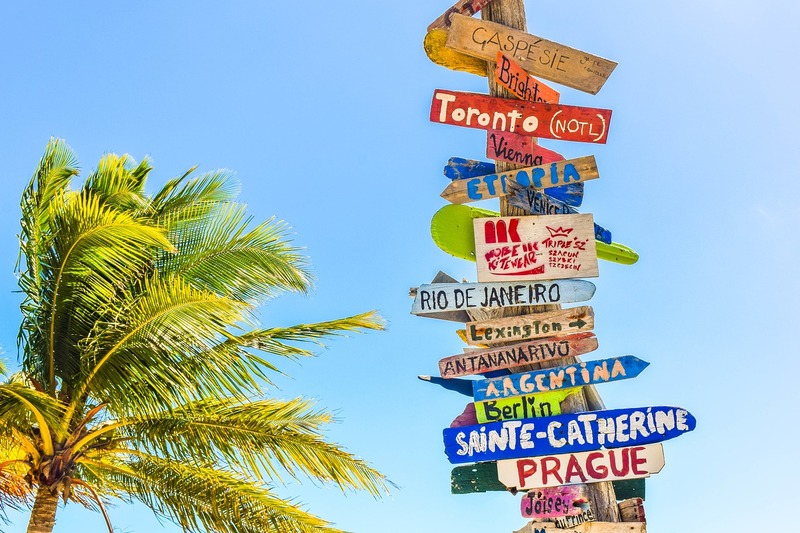 Even if the user cannot recall the exact name of the book, a feature such as Instant can help them try different variations to locate the right results. However, consider a goal such as “I want to find shoes to match my interview suit”. In a case such as this, the user may have an understanding of the sorts of results that would be valuable, but much less of an idea how to articulate a suitable query. Clearly this is a much more complex case, in which keyword queries and Instant results may help establish an initial direction for the enquiry, but are unlikely to provide a complete solution. To adequately fulfil the constraint of matching the suit, some sort of dialogue that supports exploration of the various facets of price, availability, colour, style, brand, etc. is more likely to be effective. Finally, consider the case where the user’s goal is to “find an affordable entertainment system for our family”. Here, the user’s goal is at a much higher level of abstraction and complexity, and the use of keyword queries alone is unlikely to constitute an effective search and discovery strategy. 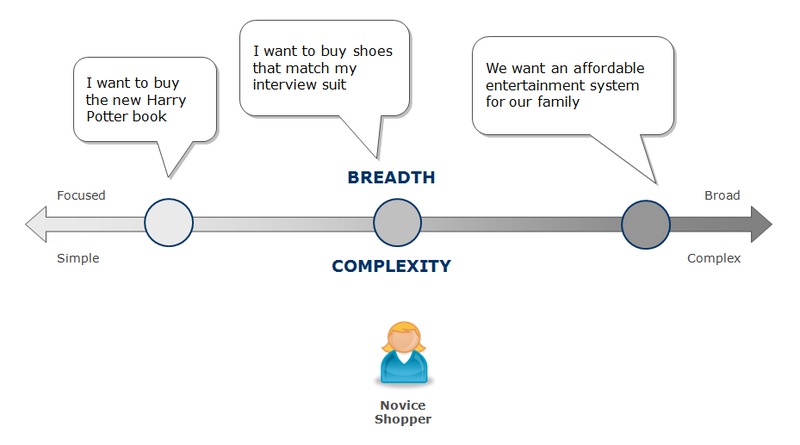 In this case, the user is hoping to engage in a serendipitous discovery experience that leads to a plausible set of options for consideration; guided not so much by an explicit, known target but reactive to the world of possibilities that that may be presented to them and the trade-offs between them. In this context, rapidly changing and “instantly” available results may be useful at the outset in helping the user gain a general appreciation of the immediate options, but are unlikely to support the thoughtful consideration and evaluation of results required to identify an “entertainment system” that meets a family’s needs. The third dimension of the search experience considers the Information Assets that users need to interact with in achieving their goals. In many ways, this dimension and the previous two reflect the classic concerns of user centred design, in which the initial focus is to understand and specify the context of use by identifying “the people who will use the product, what they will use it for, and under what conditions they will use it”. 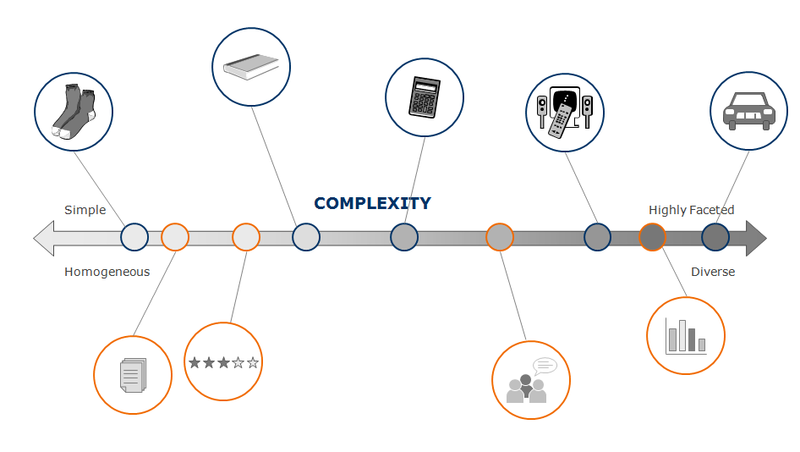 Moreover, the information space could be augmented by further meta-information in the form of product reviews, ratings and so on (which are becoming increasingly commonplace in eCommerce environments), or analytics views onto aggregated records (which are typical of enterprise search and business intelligence applications). Again, it is unclear how effective Instant results would be when applied to such complex, heterogeneous information spaces. The fourth dimension of the search experience is what we call the Mode of Interaction. In many ways, this is the hardest of the four to define, as it is essentially an abstraction of the many types of behaviours (or modes) that we commonly observe when studying human information seeking behaviour. As such, it is a fluid concept, with many alternative models and approaches. Donna Spencer, for example defines four Modes of Seeking Information: “Known-Item”, “Exploratory”, “Don’t know what you need to know” and “Re-finding”. Our own model currently defines ten modes of interaction, and draws on the work on Gary Marchionini in his work on exploratory search. In this he defines three broad categories of search activity: Lookup, Learn, and Investigate. Lookup subsumes the basic tasks of know-item search, fact retrieval, etc., and is the focus for much of what current web search engines support. GI, with its focus on interactive support for query formulation, is of clear benefit for such tasks. By contrast, the Learn and Investigate activities deal with exploratory search, and subsume tasks like comparison, aggregation, analysis, synthesis, evaluation. Evidently, these are complex, iterative behaviours that go beyond mere fact retrieval or lookup, and require a much richer kind of interaction or dialogue between system and end user. There’s no doubt that Google Instant is a significant development in the state of the art for web search, not least for the engineering achievement in developing the infrastructure required to deliver such an experience with sub-second response times on vast and diverse sets of information across the web. But the extent to which it will change the way we search really depends on the context of use. At the very least, this should consider the user type, their goals/scenarios, information asset types, and likely modes of interaction. In this context, instantly changing search results can be either instantly helpful or instantly ineffective. But in many ways, this article really isn’t so much about Instant or any one particular feature of the Google search experience. Instead, it is about establishing a framework by which any feature of the search experience can be meaningfully understood and evaluated; whether it be a part of web search, site search, or enterprise search. In that respect, we are only just beginning to understand the critical dimensions of the human information seeking behaviour and discovery experience, and how to translate that understanding into design principles that help information seekers get beyond “instant” findings to understanding and discovery. Footnote: this is a revised version of “Is Instant Search Instantly Valuable?” on Search Facets. Is “Instant” Search Instantly Valuable? 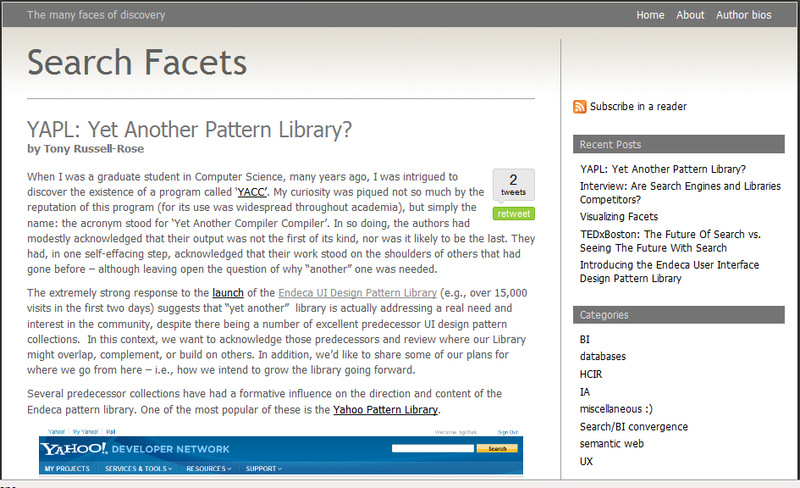 I’ve recently joined the blogging community at Search Facets (Endeca’s corporate blog), with an opening post discussing some of the formative influences on the creation of the Endeca UI Design Pattern Library. Now, I don’t normally do tributes, but with the launch still pretty fresh in the minds of many observers, now is a good time to reflect on those who (perhaps unknowingly) contributed to its inception, and to give credit where its due. I also took the opportunity to give a bit of insight into which topic areas & patterns we anticipate working on next, and where we’d like to take the library in the longer term. You can read more on Search Facets, and I hope to be writing more there shortly.